ColorDirector is a pro-level color grading software! 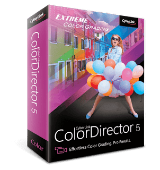 ColorDirector5 LE was available as a giveaway on March 16, 2018! Color grading is essential for evoking responses from your video viewers. ColorDirector is a pro-level color grading software packaged in an intuitive suite that makes it simple for anyone to master. Color Adjustment Tools: Basic tools (W/B, Tone, Curve, Sharpness, Noise Reduction, Color Replacement, Vignette, Color Shift, Color Preset). How would you improve ColorDirector5 LE? Featured titles by CyberLink Corp. I downloaded the program, installed it, tried to run it, then it shut down when I tried to import a video. It asked me to fill out an incident report that was sent. I hope you can help me fix it. It's a tool I could use. In the presets Golden Sun seems to be the only preset that improves the colour, most of the other presets go against the video. For anyone wondering, this is a very trusted company, their software Cyberlink Media Player 14 came prebundled with my HP laptop. Downloading, installing and registering was easy. Looks very intuitive and powerful. I then went to the website & downloaded the manual, which is high quality and looks very thorough. Initial impression: a great program! Downloading, installing and registering was easy. Looks very intuitive and powerful. I then went to the website & downloaded the manual, which is high quality and looks very thorough. Initial impression: a great program! Thank you! I downloaded it and worked fine with me, it is like an app for photo editing, but edits videos instead. There is also a "Trime" button in shape of scissors and "delete scenes" button next to it. Later after doing these, to export the video, press on "Production" and choose WMV because it is better because there is the chance to choose between different resolutions including VGA and 4K. Or if you are choosing H.264 then choose USA to be able to do these and also add Dolby Digital (didn't try it so not sure if it make a change in sound) and then pressing Start will create the video. I downloaded it and worked fine with me, it is like an app for photo editing, but edits videos instead. But I felt that it could be not so easy for everyone to work with in first time, so here is how it works: After adding the video, the movie should be added to "story board" by pressing right click on your mouse, then opening "Adjustments" and there either put some filter (called "presents") or do a Manual changes with contrast, saturation, ...etc , not all of them are working directly, some features need upgrading (or maybe I couldn't register correctly, I don't know) There is also a "Trime" button in shape of scissors and "delete scenes" button next to it. Later after doing these, to export the video, press on "Production" and choose WMV because it is better because there is the chance to choose between different resolutions including VGA and 4K. Or if you are choosing H.264 then choose USA to be able to do these and also add Dolby Digital (didn't try it so not sure if it make a change in sound) and then pressing Start will create the video. When I add a video (a video shot on a simple fotocamera) to the stroyboard, the program immediately fails. Here are the current limitations i found so far in this Edition. Sound codec seems to be always AAC regardless what the original codec was. Not a big problem but might be worth to know. aris95, ..AAC.....That is the most commonly used audio codec, even if DTS is used. aris95...DTS is Digital Theatre System. What do you mean, "even if DTS is used?" AAC and DTS are mutually exclusive--you either use one, or the other. Hadrianus, What do you mean, "even if DTS is used?" AAC and DTS are mutually exclusive--you either use one, or the other. Don Camillo e l'Onorevole Peppone (1955) 1434x1080 avc DTS AC3-mkv 10.440.088 kB. That movie has not been completely downloaded yet. RDIonysus, what you think about this; Media info : Don Camillo e l'Onorevole Peppone (1955) 1434x1080 avc DTS AC3-mkv 10.440.088 kB. A restored film from 16/15/16. I downloaded that last week. No subs. And; Media info; Don.Camillo.monsignore..ma.non.troppo.1961.1080p.H264.ITA.DTS.AC3.Bluray. That movie has not been completely downloaded yet. RDIonysus, continued from my 3 previous postings. RDIonysus, continued from my 3 previous postings. AC3Filter is a high quality free audio decoder and processor filter. It allows media players to playback movies with AC3 and DTS audio tracks. Also it can process any audio track, much of processing options allows to adjust the sound in almost any way. It is possible to upmix any audio source to 6 channels. Filter can do multi-channel and digital (SPDIF) output. It can encode any audio source to AC3 on-the-fly and send it over SPDIF to the receiver. Continued from my previous 4 posts. RDIonysus, http://www.ac3filter.net/ Continued from my previous 4 posts. ac3 codec for your PC, laptop and DTS for movie theatres. Downloaded and installed. Easy. 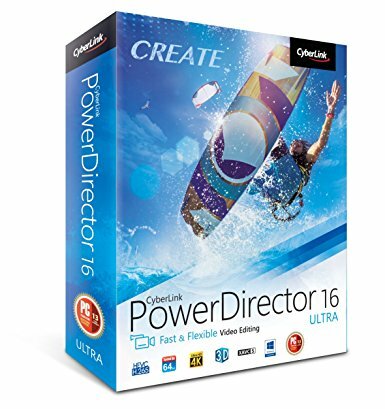 I already use CyberLink's PowerDirector, so this is a very valuable addition. Just had time to play with a few settings. Exciting. All shades of colour, sepia, black-and-white; exposure compensation. Thanks GOTD. This one is really useful. Comment #1 says this version does not support MOV as an importing format, yet comment #2 says that he did import a MOV clip. So which is it? Otherwise the video will force a change to the video. Don't worry it will warn you before doing any change. Dave, It can import MOV with no problem for me but before starting any video you have to be sure that Aspect ratio is the same as video from edit>Aspect Ratio And also be sure that the video has a similar Frame rate edit>preferences> Otherwise the video will force a change to the video. Don't worry it will warn you before doing any change. Downloaded and installed on Windows 10 without difficulties, although the setup.exe is just a frontend that connects to the internet to download the *real* software installer which then has to install after downloading. I use Adobe Lightroom for editing photos. ColorDirector5 seems to use a similar approach for videos and I was surprised at how much it feels like Lightroom's approach. For me, that was a good thing. I did not read any instructions or watch the available tutorial videos. I just opened a short .MOV clip I took this summer with my DSLR. It was slightly confusing that I had to drag the opened clip to a Storyboard, but, it is a movie editor so it does make sense that there is a Storyboard I guess--I was thinking this would just be a single clip editor, but it appears you can string clips together which seems like a nice feature (though I have not actually tried that yet). 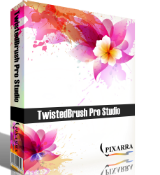 I was quickly able to adjust the vibrance and saturation to my liking--very easy and intuitive controls. I played around with the other controls for adjusting individual colors' saturation, brightness, and hue--again, intuitive controls. I liked that the software also offered an option to click on a color in the video itself and then you could drag up and down to adjust that color's saturation, brightness, or hue. I then exported the clip to MP4 format, although M2TS was also an option for higher quality. Some of the output options do require "upgrading" (presumably for a fee--I didn't check that out), but the options included were good enough for my needs. The time it took to export the clip seemed reasonable to me--not particularly speedy, but not unbearably slow either. The resulting clip appeared of good quality--no noticeable degradation to my eye; and, the adjustments made were accurately reproduced in the exported clip. I was surprised but pleased with what a very nice piece of software this is. If you've been looking for something to enhance or modify the color features of a video, this strikes me as a very nice option for free. Thanks, GAOTD! Downloaded and installed on Windows 10 without difficulties, although the setup.exe is just a frontend that connects to the internet to download the *real* software installer which then has to install after downloading. 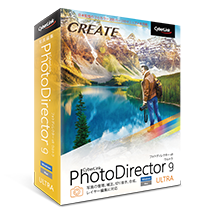 I use Adobe Lightroom for editing photos. ColorDirector5 seems to use a similar approach for videos and I was surprised at how much it feels like Lightroom's approach. For me, that was a good thing. I did not read any instructions or watch the available tutorial videos. I just opened a short .MOV clip I took this summer with my DSLR. It was slightly confusing that I had to drag the opened clip to a Storyboard, but, it is a movie editor so it does make sense that there is a Storyboard I guess--I was thinking this would just be a single clip editor, but it appears you can string clips together which seems like a nice feature (though I have not actually tried that yet). 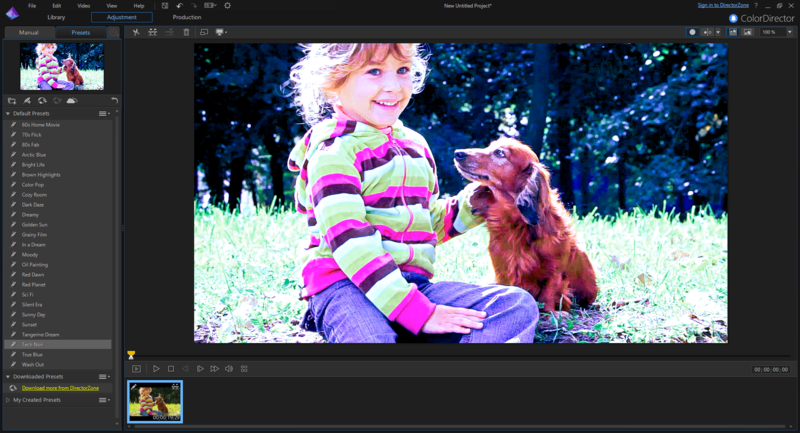 I was quickly able to adjust the vibrance and saturation to my liking--very easy and intuitive controls. I played around with the other controls for adjusting individual colors' saturation, brightness, and hue--again, intuitive controls. I liked that the software also offered an option to click on a color in the video itself and then you could drag up and down to adjust that color's saturation, brightness, or hue. I then exported the clip to MP4 format, although M2TS was also an option for higher quality. Some of the output options do require "upgrading" (presumably for a fee--I didn't check that out), but the options included were good enough for my needs. The time it took to export the clip seemed reasonable to me--not particularly speedy, but not unbearably slow either. The resulting clip appeared of good quality--no noticeable degradation to my eye; and, the adjustments made were accurately reproduced in the exported clip. I was surprised but pleased with what a very nice piece of software this is. If you've been looking for something to enhance or modify the color features of a video, this strikes me as a very nice option for free. Thanks, GAOTD!
" It was slightly confusing that I had to drag the opened clip to a Storyboard..."
If/when you look at NLEs [Non Linear (video) Editors], I think you'll find that the more usual approach is to have your clips on several tracks with a timeline. Where I have seen story boarding used, I think the intent was to make it less confusing. Using a timeline OTOH makes it quicker/easier to edit the individual clips, plus you can do stuff like overlays, pip etc., but it can seem like overkill for less complicated projects. "I then exported the clip to MP4 format, although M2TS was also an option for higher quality." Those are just container formats, having nothing really to do with the quality of the video inside. Your original .mov file [which according to the ad copy you shouldn't be able to import], .mp4, & .m2ts can all hold identical H.264 video. "If you've been looking for something to enhance or modify the color features of a video, this strikes me as a very nice option for free." FWIW, I think one of the most common uses for something like Color Director, which is often part of the NLE software itself, is to make clips shot at different times with different lighting look the same. Another reason that's a bit less important today, now that TV broadcasts are digital, was to make sure the video was "legal" -- that the equipment could actually broadcast those colors. It is often used to give video a mood or feel. It is cool that CyberLink is being so generous with today's GOTD offer. If you want or need more however, & don't mind the learning curve, Davinci Resolve started out in life strictly for pro color correction, evolving into a capable NLE, & it's always free. ReasonablyImpressed, <i>" It was slightly confusing that I had to drag the opened clip to a Storyboard..." </i> If/when you look at NLEs [Non Linear (video) Editors], I think you'll find that the more usual approach is to have your clips on several tracks with a timeline. Where I have seen story boarding used, I think the intent was to make it less confusing. Using a timeline OTOH makes it quicker/easier to edit the individual clips, plus you can do stuff like overlays, pip etc., but it can seem like overkill for less complicated projects. <i>"I then exported the clip to MP4 format, although M2TS was also an option for higher quality. "</i> Those are just container formats, having nothing really to do with the quality of the video inside. Your original .mov file [which according to the ad copy you shouldn't be able to import], .mp4, & .m2ts can all hold identical H.264 video. <i>"If you've been looking for something to enhance or modify the color features of a video, this strikes me as a very nice option for free. 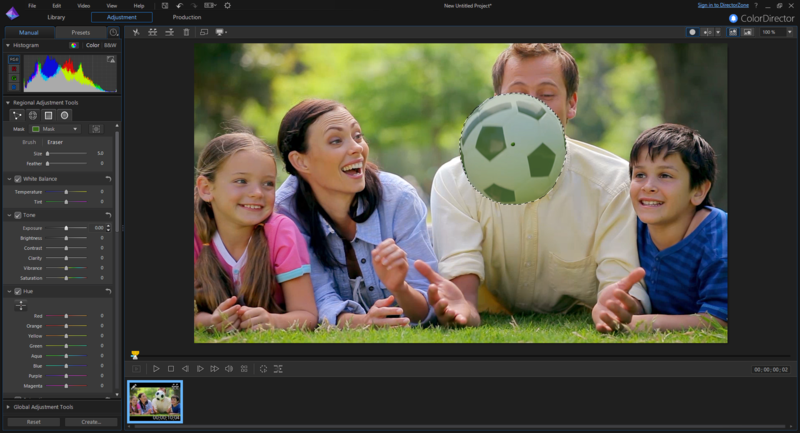 "</i> FWIW, I think one of the most common uses for something like Color Director, which is often part of the NLE software itself, is to make clips shot at different times with different lighting look the same. Another reason that's a bit less important today, now that TV broadcasts are digital, was to make sure the video was "legal" -- that the equipment could actually broadcast those colors. It is often used to give video a mood or feel. It is cool that CyberLink is being so generous with today's GOTD offer. If you want or need more however, & don't mind the learning curve, Davinci Resolve started out in life strictly for pro color correction, evolving into a capable NLE, & it's always free. Assuming the "LE" stands for "limited edition" - what are the limitations compared to the regular version? Hadrianus, Thanks. Here it is: This version includes: Importing Formats: MP4/H.264 (with Windows 7/8/10 in-box MP4 codec), AVI, WMV (Doesn't support MKV, MOV, FLV); Exporting Formats: MP4/H.264 (with Windows 7/8/10 in-box MP4 codec), WMV (Doesn’t support MKV, M2TS, XAVC-S); Aspect Ratio/ Resolution: 16:9, Up to 1080/30fps (Doesn’t support 9:16 & 360-degree); Color Adjustment Tools: Basic tools (W/B, Tone, Curve, Sharpness, Noise Reduction, Color Replacement, Vignette, Color Shift, Color Preset). It'll give you an idea what was included in the full version, along with what you get in version 6. M. H., The comparison chart is here: cyberlink[. ]com/products/colordirector/compare-versions_en_US.html It'll give you an idea what was included in the full version, along with what you get in version 6.
mike, I need a comparison between v5 and v5 LE! mike, that page is ok to compare the full versions 4, 5 and 6 but makes no references to the LE and full versions which is what M. H. was querying.